Kington has a very idiosyncratic and enjoyable golf course high on Bradnor hill, with views of seven counties, where golfers vie with sheep for green space. Canoes can be hired at Glasbury. You can chose shorter or longer routes, and take a picnic, and then arrange to be picked up from your destination later in the day. The area offers truly brilliant opportunities for walking in magnificent countryside. We are three miles from Offa's Dyke, a long distance footpath running for a total of 180 miles north - south along the ancient border of England and Wales. Our nearest access to the path is at Kington, three miles away, where the path winds across Hergest Ridge, with fantastic views into Wales and the Marches. 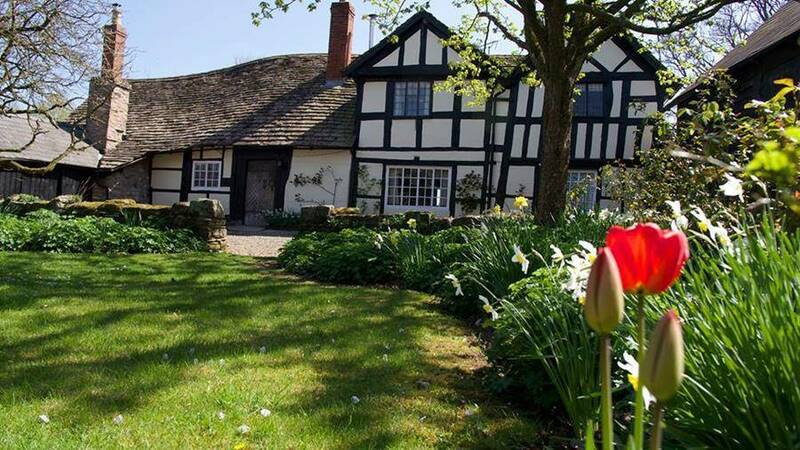 Hay on Wye, seven miles away, offers another stunning access point to Offa's Dyke at Hay Bluff, as well as access to some spectacular walks through the black mountains and lonely Olchon valley. This is the gateway to the eastern part of the Brecon Beacons which provide many varied opportunities for walks. Quiet local roads provide excellent cycling routes both for the speed enthusiast and for those who want to potter about and use bikes as a means of enjoying and seeing the countryside. The Old Barn and the Granary are two stunning newly converted cottages in the courtyard of our listed black and white farmhouse at Little Quebb. Both cottages are superbly equipped, fully self contained and separate but are very suitable for two groups coming away together. Children are always welcome with lots of outdoor space for ball games and running around. A Cot and high chair can be supplied on request. Smoking is not permitted in either holiday cottage. One dog is permitted in the Old Barn by prior arrangement. 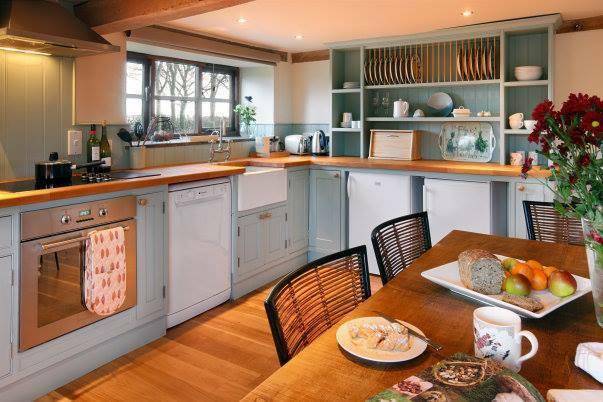 The Cottages Granary sleeps 4 and the Old Barn sleeps 5. The Granary is a charming cottage with old exterior stone steps leading to the granary store - now out of use except to hold flower troughs and containers. 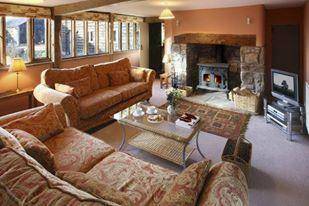 A sitting room with fine exposed beams, log burning stove and attractive wood framed windows looking into the courtyard and lane beyond. A very large master bedroom with a wonderful king size double bed and fine exposed beams . This room also includes a settee, dressing table, wardrobe and chest of drawers. Direct access to the gardens from the sitting room and kitchen. Attractive bathroom with a bath and overhead shower.A twin bedded room overlooking the herb garden. 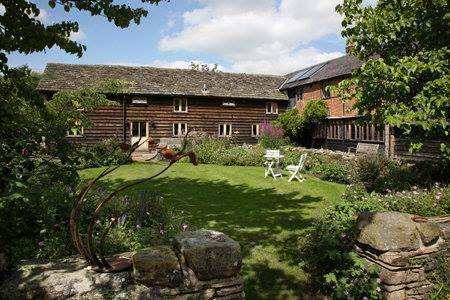 The Old Barn is a very spacious, light and sunny cottage which opens into the courtyard. 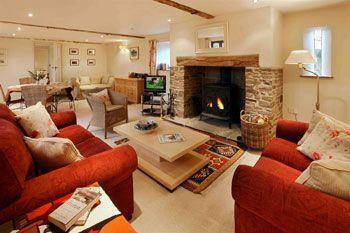 Spacious living room with large dining table, exposed beams and log burning stove. Contemporary kitchen with kitchen table and chairs. 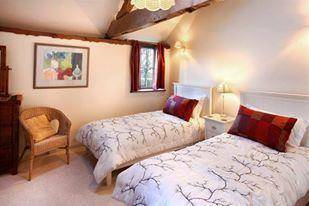 Master bedroom with luxurious double bed and built in wardrobes ensuite bathroom with bath and lots of exposed beams. Single bedroom leading off landing. Twin bedded room with built in wardrobe. Shower room with contemporary shower fittings. Downstairs cloakroom. Guests are welcome to bring one well behaved dog to the Old Barn by prior arrangement. PayPal or bank transfer are accepted.